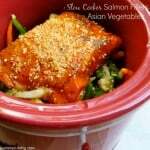 This crock pot salmon fillets with Asian style vegetables is a personal favorite. This crock pot salmon fillets and Asian style vegetables is a perfect dinner for two. The idea comes from a recipe for Crock Pot Salmon Fillets and Green Beans I saw on A Year of Slow Cooking. Steph was right, crock pot salmon fillets turn out moist and flavorful! 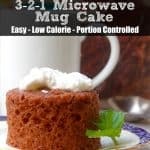 I love that this is a recipe that only serves two (affiliate link) and can be made in a 1.5- to 3-Quart slow cooker (affiliate link). It can also be easily doubled and cooked in a 3- to 4-Quart slow cooker (affiliate link). It comes together in minutes and takes only 2-3 hours on LOW, which works well for me because I work mostly from home. This is the kind of dish that is best made on a day when you are around to check on it, so you don’t end up with overcooked salmon. It’s definitely the kind of recipe that can be varied in lots of ways by mixing up the kinds of fish and vegetable blend you use. I think it would work well with thin boneless, skinless chicken breasts too. 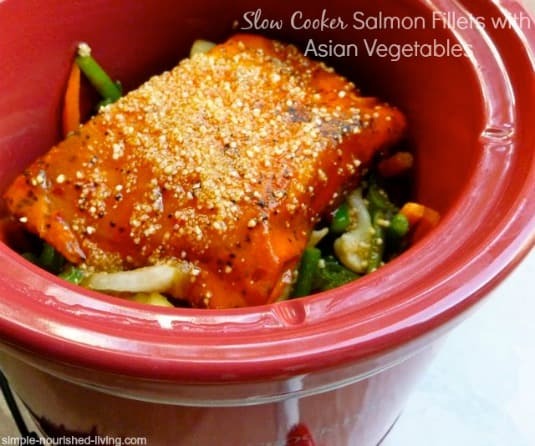 How Many Calories/WW SmartPoints in this Easy Healthy Crock Pot Salmon and Asian Vegetables Recipe? 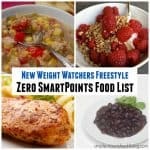 Each serving has approximately 190 calories and *5 Weight Watchers PointsPlus, *8 SmartPoints, *4 WW Freestyle SmartPoints. 12/7 Update: This recipe proves that patience is a virtue! 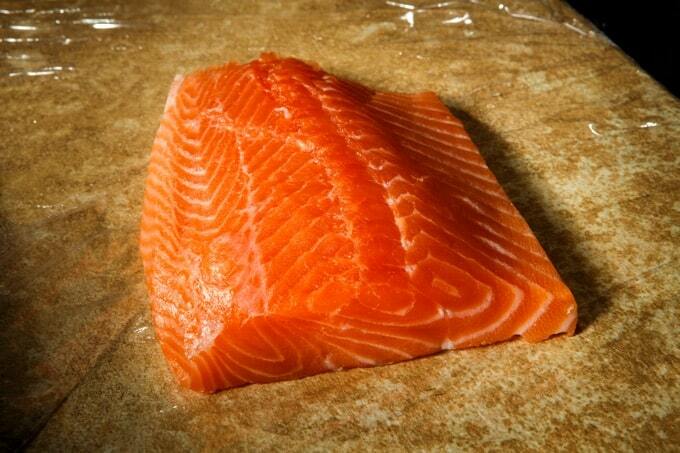 I love salmon and know that it’s good for me so I try to eat it as often as I can. 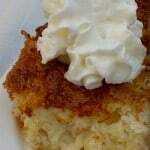 When I first began making the recipe it had *5 Weight Watchers PointsPlus. 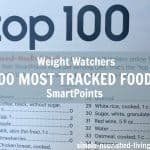 Then in December of 2015 when Weight Watchers introduced SmartPoints with it’s Beyond the Scale Program, the SmartPoints value of this beloved salmon recipe shot up to *8 SmartPoints because of the honey. I didn’t care. I just kept eating it, just as I had under PointsPlus. Now with the release of the new WW Freestyle Program, the only thing that has points and needs to be tracked in this recipe is the honey which has *4 Freestyle SmartPoints. The salmon now has *0 SmartPoints! Different fish – most any fish would work – halibut, haddock, cod, tilapia, shrimp etc. If you’ve made this Slow Cooker Asian Style Salmon & Veggies, please give the recipe a star rating below and leave a comment letting me know how you liked it. Easy, healthy and delicious crock pot salmon fillets and vegetables in a tasty Asian style sauce. Dump the frozen vegetables in the slow cooker. Place salmon on top of the vegetables. Mix together the soy sauce, honey and lemon juice and drizzle over the salmon. Drizzle with sesame seeds, if using. Cover and cook on LOW 2 to 3 hours, until the salmon is done to your liking. I'm a huge salmon lover, so like it on the just barely done side and cooked mine about 2-1/2 hours. Serve with brown rice, if desired. Drizzle everything with the sauce from the slow cooker. Martha, I found your blog when a friend “shared” the information on FB. I have just spent the last hour browsing through past blogs/recipes. To say I am excited is a huge understatement! I’ve been a fan of crock pots long before they were “cool”. I would much rather spend a little time each morning throwing ingredients in the slow cooker…knowing that when supper time arrives I can just relax and enjoy the meal. 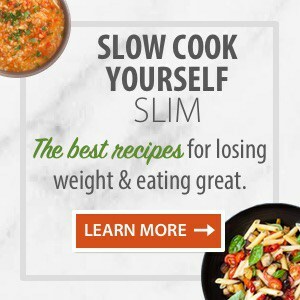 Your approach to combining the use of our crock pots and producing WW friendly meals….well….let’s just say the timing couldn’t be more perfect! Having just celebrated my 50th birthday and 25th wedding anniversary…I realize that I have slowly added 50 pounds over the past 25 years of marriage. Time to do something about that little problem! 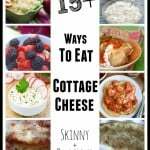 🙂 🙂 I’m excited to start following your blog and to start marking all of these delicious looking recipes. Thanks for sharing this journey! So glad you found your way to my site and crock pot cooking project! I too have been a fan of the slow cooker. It just fits my approach to life. I love what you said about spending some time in the morning so you can relax and enjoy the meal later. That’s exactly how I feel! Congrats on your birthday (I turned 50 earlier this year too) and anniversary!! I will definitely try this. I too am a salmon lover. Only thing is I put frozen veggies in my crock pot last week and about an hour into the cooking time I heard a pop. Yep the crock cracked. 70.00 to replace! I did contact kitchenaid and they told me never to put anything frozen in a slow cooker for just that reason. Guess I missed that page in the manual! Bummer! Thanks for the heads up Shirley! I guess I’ve been lucky putting frozen veggies in the slow cooker with never an issue! Maybe it’s time to change my ways. iF I double the recipe, should I cook it longer? HI Qualityscoping, I think it will depend on the size of your slow cooker and how fast it cooks, so I can’t give an exact answer. I would check at the suggested time and then every 15 minutes or so until done to your liking. Hi Mindy, I’ve used both frozen and thawed with good success. Though the food authorities discourage using frozen foods for food safety reasons. Why would frozen Salmon be a safety concern? I am planning to make this today, and I was going to use frozen. Also, how much do you think it would add on to the cooking time? I’ve never cooked salmon. How do you know when it’s done??? Hi, I’m wondering about the points. When it says the recipe is 4 Smart Points, does it mean 4 Freestyle Points or the old Smart Points? In your future recipes, are you going to call Freestyle Points Smart Points? Have the points changed on the Freestyle plan? 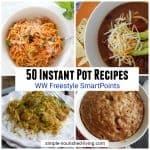 Hi Kimberly, This recipe has 4 WW Freestyle SP. Many lean proteins became zero points on WW Freestyle. This includes chicken breast, turkey breast, eggs, fish and shrimp. Beans and plain fat free Greek yogurt also have zero points on Freestyle. Hope this helps! Made this today. Very good. Rated 5 stars. Good job on the recipe. Tweeted it a little as my salmon package was 16 oz. Salmon is one of our favorite foods and I try to keep some in the freezer. It does not take long to thaw if placed in cold water. That could be done while prepping the other ingredients for the recipe. Martha, I appreciate you posting so many wonderful recipes. I made this delicious salmon recipe a couple of weeks ago. Now, hubby is asking for it again! It’s healthy and I never liked salmon until I made this recipe. Go figure! LOL Thanks for this delicious recipe!!! Yummy! !